When I burned the sweet rolls, I impacted my world: excited eaters were disappointed by the aftertaste of carbon, and my husband spent a long time scrubbing the pan. “Impacting the world” is a lofty sounding current catch phrase, but really there isn’t one of us who can avoid doing it every day. The bits of world we impact may be big or small; we may do it in a positive or a negative way, effectively or haphazardly. So when my school put “impact the world” in the middle of its mission statement, it said that the point of education is to equip students with the knowledge, skills, and understandings so they can determine which parts of the world are within their circle of impact, what kinds of impact they need, and how to most effectively do it—whether that is troubleshooting an engine knock, planning healthy family menus on a budget, or negotiating a Middle East peace process. In 10th and 11th grade English class, the skills are mostly about communication—how we take meaning from language by reading and listening, think about it critically, and then add our voices to the conversation by speaking and writing. The content on which we practice is various works of literature, along with the bones of language: vocabulary, grammar, rhetoric. Some of the understandings have to do with language itself: as a gift that can be used for joy, love, and justice or abused for self-aggrandizement, manipulation, and deceit. Other understandings have to do with the truths that each author wrestles with—about human dignity, the purpose of life, individual identity, and how we relate to each other. So every day, everything that students learn about language is helping them grow in their ability to skillfully use reading, listening, thinking, speaking, and writing to impact their immediate and ever-farther-reaching worlds. 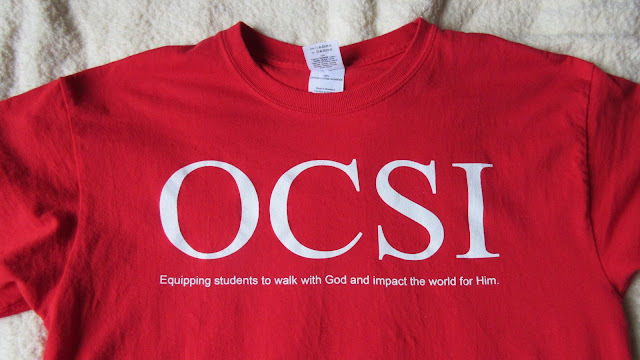 But the entire mission statement says, ”Equipping students to walk with God and impact the world for Him.” Everyone impacts the world, but what does the “walk with God” and “for Him” mean in a Christian school where the majority of students do not come from Christian homes? First, what does it mean for me to embed my own impacting of the world between “walking with God” and doing it “for Him”? For me, it is absolutely essential. “Walking with God” is the source of motivation, the ground where my roots draw purpose and strength for why I care about impacting the world when it seems hard, risky, impossible, or just not as much fun as other options. And doing it “for Him” is what keeps me grounded in appropriate humility and hope. Otherwise, it is so easy to take my failures or successes too much to heart, becoming discouraged or arrogant. the content, skills, and understandings to critically and effectively impact their worlds. that all people manage their impacts based on their values: understanding those values will affect the impact made. that Christian faith is not at odds with critical thinking and intellectual achievement. that Christians live the grace they preach. something that will stay with them until they come to that point in their own lives, whether it is while they are at school or many years down the line, when they are at the end of their own hope, love, strength…and they remember they had teachers who lived how God becomes a far more durable hope, love, and strength for anyone who asks. The end of a calendar year, beginning of a new semester, is a good time to pause and refocus on the really big picture. What is it that you hope your students leave your class and your school with? What are you doing in your classroom every day to make it as probable as possible that they will?